Bridges, they’re symbolic aren’t they. All cultures have sayings/proverbs about bridges. We talk about ‘building bridges’ when we want to unite warring factions, heal divisions. We used to burn bridges to stop enemies in pursuit. We still talk about burning our bridges when we’re leaving something behind. Past events, past mistakes, are ‘water under the bridge’. Future problems: ‘we’ll cross that bridge when we come to it’. 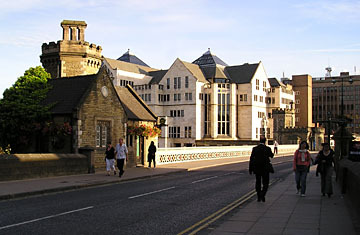 Or not, perhaps, in the case of Lendal Bridge. It’s 150 years this year since this bridge opened. At present it’s the focus of angry debate. Its imminent ‘trial’ closure to private vehicles begins on Tuesday. It’s not a complete closure, it’s a(nother) traffic restriction, to some vehicles, during certain hours. But it has provoked what is generally referred to as a ’storm of protest’. I’ve also seen comments of exasperation: ‘It’s just a bridge, get over it!’, answered with ‘We won’t be able to, from Tuesday onwards’. The bridge is of course an important river crossing, but it isn’t ‘just a bridge’. It seems to have taken on a wider significance, a symbolic importance. Having read many of the online comments, trying to gauge public reaction, it looks like the majority view is that this proposed trial is ‘a bridge too far’. The phrase ‘tipping point’ comes to mind. Many residents seem to have had enough. I don’t think I’ve ever seen so much angry feeling expressed about a council plan. It’s as if all the ire and frustration built up over many years, the feelings of many York residents about the local authority — its increasing focus on tourism, its perceived bias towards the needs of certain groups, its ‘not listening to residents’ — has focussed on this bridge. The leaflet sent out to local households clearly states that the Lendal Bridge trial is part of the wider scheme to ‘reinvigorate’ York. A ludicrous word. The place isn’t lacking in vigour. It’s the most vigorous I’ve ever seen it, in the city centre at least. It’s certainly packed full of visitors — around 7 million a year now, apparently. I can believe that, I reckon there were about 3 million of them in Petergate last time I tried to get to Barnitts. 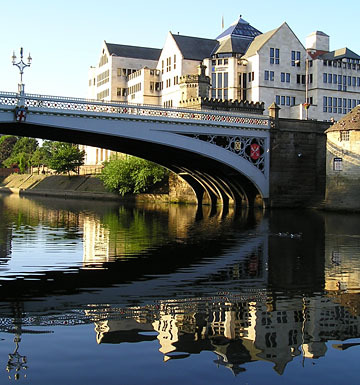 York residents have been accommodating the needs of visitors/tourists for many years. The shift towards the ‘visitor experience’ has seen the place becoming more gentrified, and more pedestrianised, with more litter on the pavements and in the parks, less room to move. We’ve accepted the inevitable changes, tried to forget about all the things we’ve lost, and we try always to be helpful when visitors ask us directions. The city’s authorities have to balance the needs of residents and visitors, a difficult job. The city is now so reliant on tourism, on its ‘visitor offer’, its ‘cultural offer’. Everything is so focussed on ‘offering’ it’s quite difficult to stomach sometimes. This particular plan to restrict vehicle movement appears to be the latest and most controversial example of the obsession with the ‘visitor offer’. I don’t drive, I walk past lines of standing traffic, sometimes cycle by them. But in those lines of traffic are people trying to get goods from one place to another, maybe into the city centre so we can buy them from the shops there, or they’re maybe plumbers, electricians, who can’t really transport their tools on a bike, or they’re maybe carers visiting people in their homes. I care about all these people, and their quality of life on a day to day basis, more than I care about people who arrive at the station for a visit and are only here for a couple of days. I thought the local authority were also supposed to care more about the needs of residents, those people who vote for them, and pay the council tax. Increasingly it looks like there’s an obsession with ‘visions’ and ambitions, and in it all I see a turning away from the real York I know. It doesn’t matter what residents think. It matters what visitors think. So, the Lendal Bridge plan is just part of the wider ‘vision’ to ‘reinvigorate’ York. I must remember that when walking past the queues of traffic on Bootham, the stressed drivers with their blood pressure rising. I hope the residents of the Leeman Road area will remember it too when more traffic passes their houses. I wonder how reinvigorated we’re all going to feel. And on the opposing side, with far more convincing arguments, properly located, with a ‘sense of place’: Nick Eggleton, also on yorkmix.com. For the record, I’m a pedestrian/cyclist, non-driver, recycler, environmentally conscious person, and a Labour voter. When I first heard about the closure I thought it would be a good idea to make people think about their journeys through York. As I walk everywhere in York, I certainly seem to breathe in a whole lungful of exhaust fumes everywhere I go and in principal I was all for it, believing it to be part of a wise traffic strategy. In implementation, the current council thinking has proved to be shambolic (your signs may well conform to traffic signage directive to the letter, but they are still confusing and completely inadequate). How can they profess to being visitor friendly on one side and then stinging them [the visitors] for a fine if they (or their sat navs) don’t know which ‘Lendal Bridge’ is. And whilst on the soap box, you are right, all we hear is tourism, visitor, ‘reinvigorate’ – whatever that is, whilst ignoring the needs of the residents. Stop wasting money (and accruing debt) on vanity projects and start providing services. 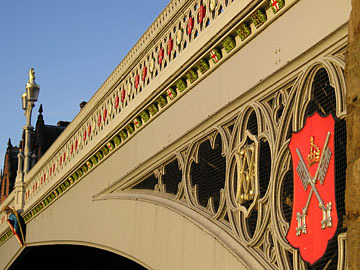 Thanks Simon, your comment and Kelly’s made me get around to writing an update on the Lendal Bridge ‘trial’: more on the signage.